Vancouver might be prone to a little rain. To leave the house dressed head-to-toe in Gortex is a pretty common occurrence. But rather than let the rain dampen your spirits, you need to find something fun (and sheltered) to do. We’ve rounded up the 8 best tours to do in Vancouver when it’s raining! What are the best tours in Vancouver when it is raining? 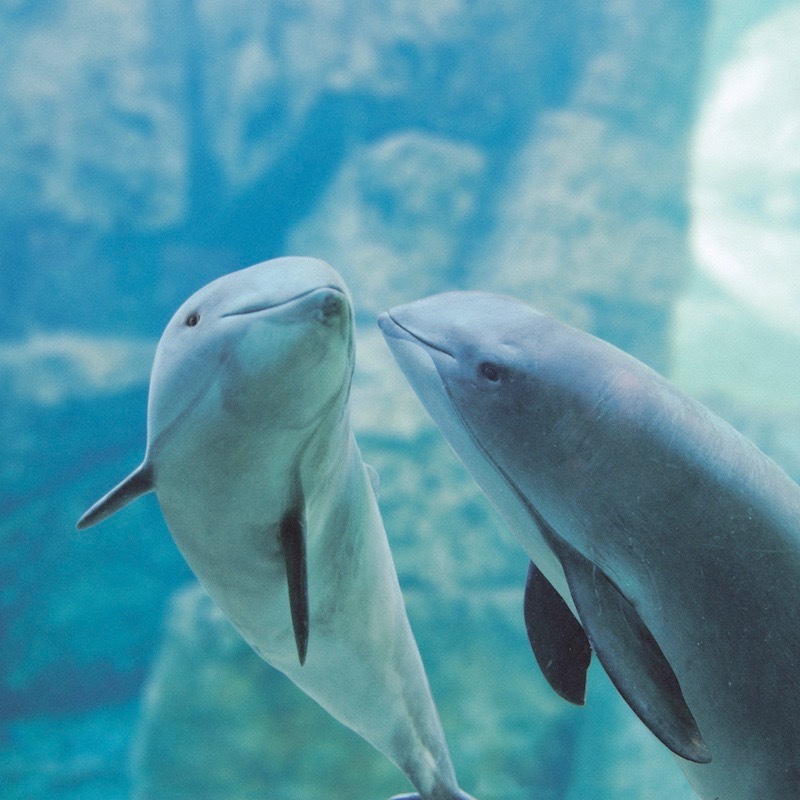 The Vancouver Aquarium couldn’t be a better destination for a rainy day. As the rain pours, it’s a perfect time to immerse yourself in an under-water world. Take your experience to the next level and join the interactive animal encounters sessions for behind-the-scenes access. You also get to help trainers with a feeding/training session! Take shelter from the rain in the world-famous Granville Island Public Market. With over 50 vendors, it can feel like an absolute maze. It’s hard to know where to start, and more importantly – where to eat! 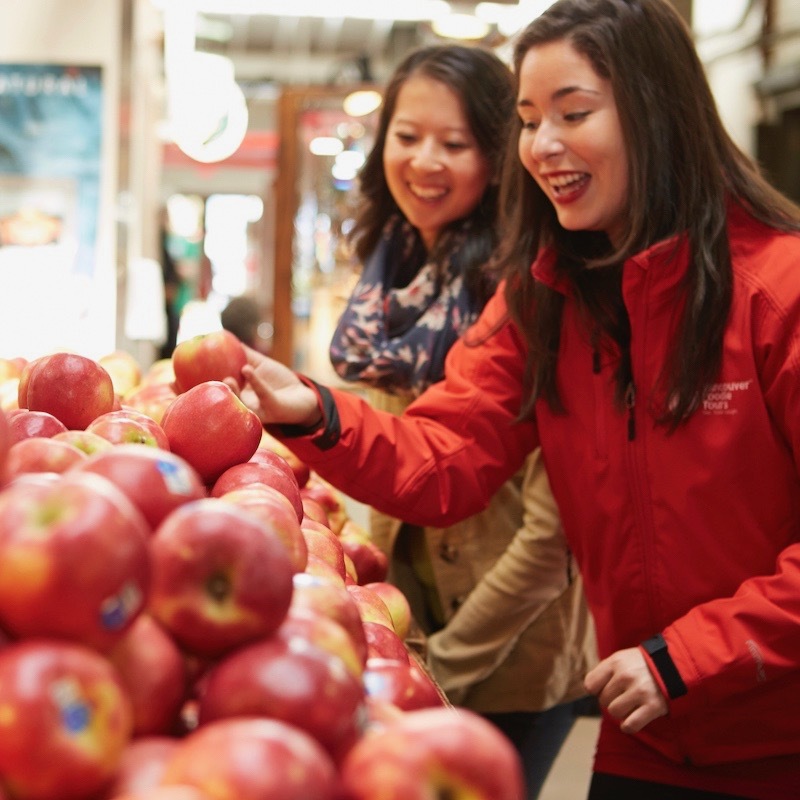 Vancouver Foodie Tours lead the way and take guests on a 2 hour guided tasting tour. Perfect for a rainy day when indulging is obligatory. 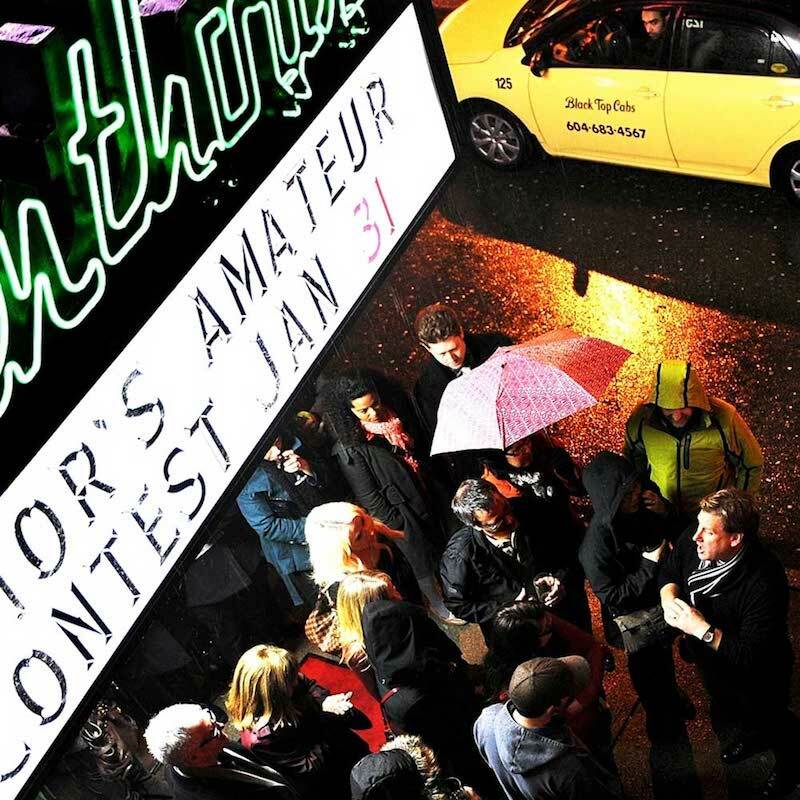 On a rainy Vancouver evening when another night at the movies doesn’t quite cut it – try something different and take a backstage tour of the legendary Penthouse Nightclub! You’ll hear stories of mobsters, busts, Rat Pack parties, murder and more! Plus gain access to rooms which have been closed to the public for decades. All that plus dinner; you’ll quickly forget the rain outside as you step into another world. A cycling tour in the rain? 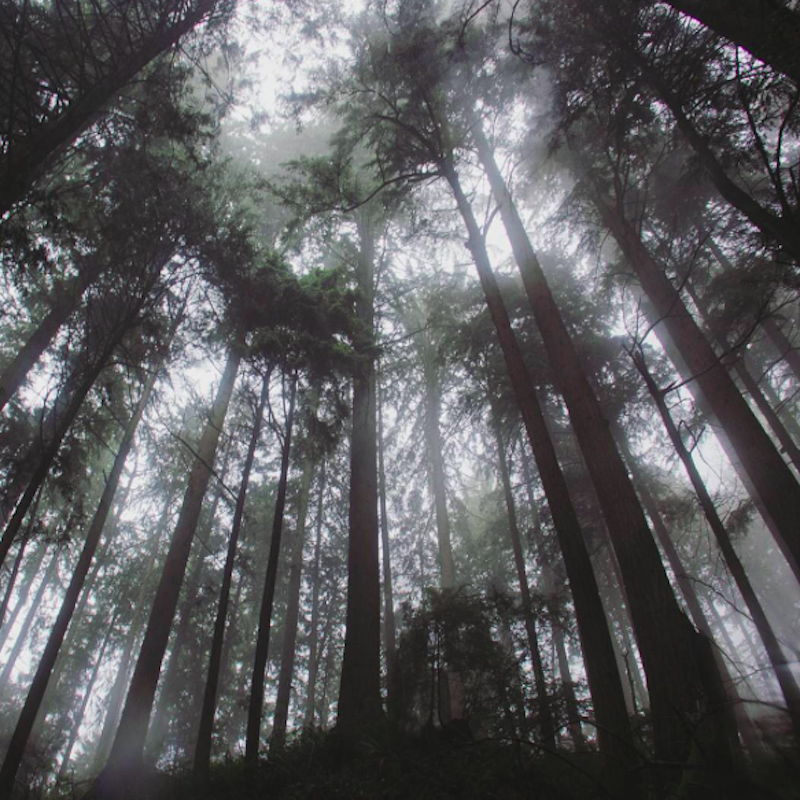 Stick with me … In light rain, this tour brings the temperate rainforest of Stanley Park to life! Take shelter under 600 year old cedars and stop to appreciate the fact that we have a rainforest in Vancouver! The streams are flowing, the rain brings out incredible smells and the park is a bit quieter adding to the feeling of true wilderness. Cycle City lead the way and even provide ponchos at no extra charge! 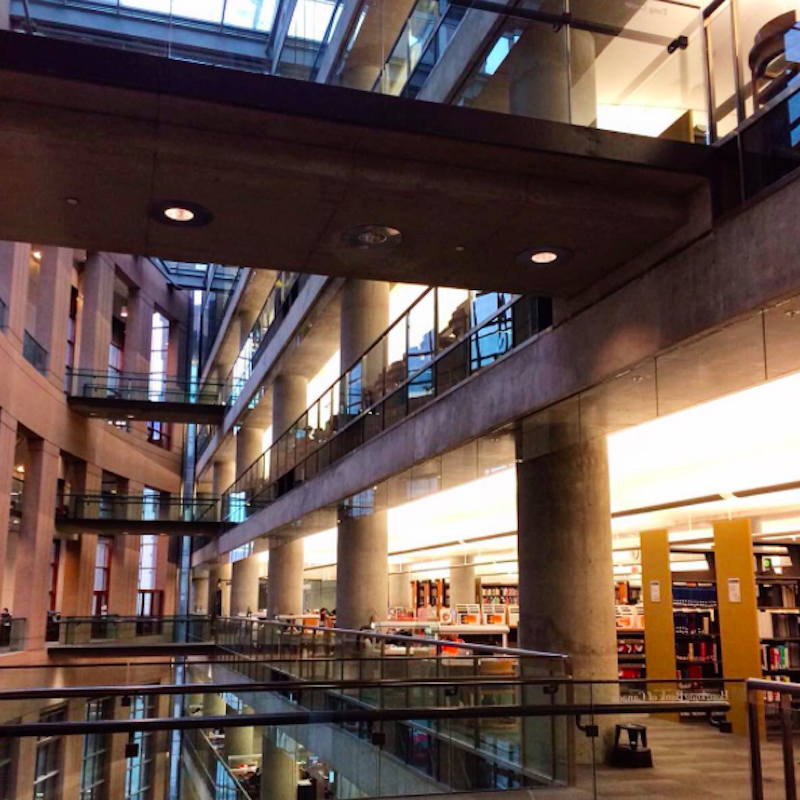 Vancouver’s largest branch of public libraries has seven floors to explore! With stunning architecture, 1.3million books, public art installations and plenty more, it’s easy to miss something. Join a free guided tour, gain some backstage access and learn a lot more about the Vancouver Public Library. 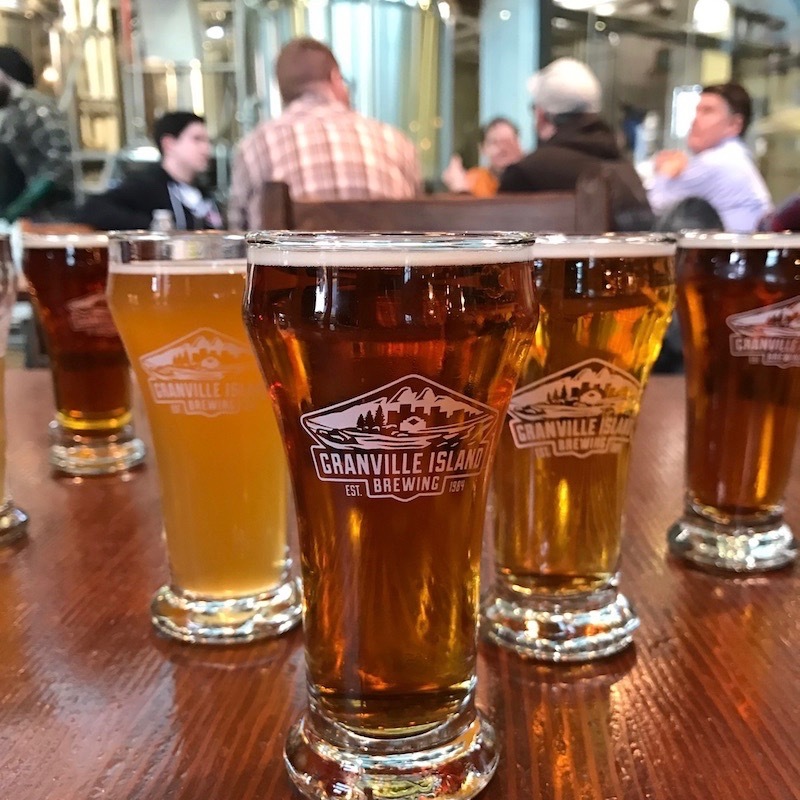 After your Granville Island Market Tour, head to Granville Island Brewing for a brewery tour! You basically have no choice when it’s raining – no judgement here! Take an interesting behind-the-scenes look at Granville Island Brewery, learn about their small-batch beers and even get to sample some! A perfect rainy day activity and great space to settle in until the rain passes. 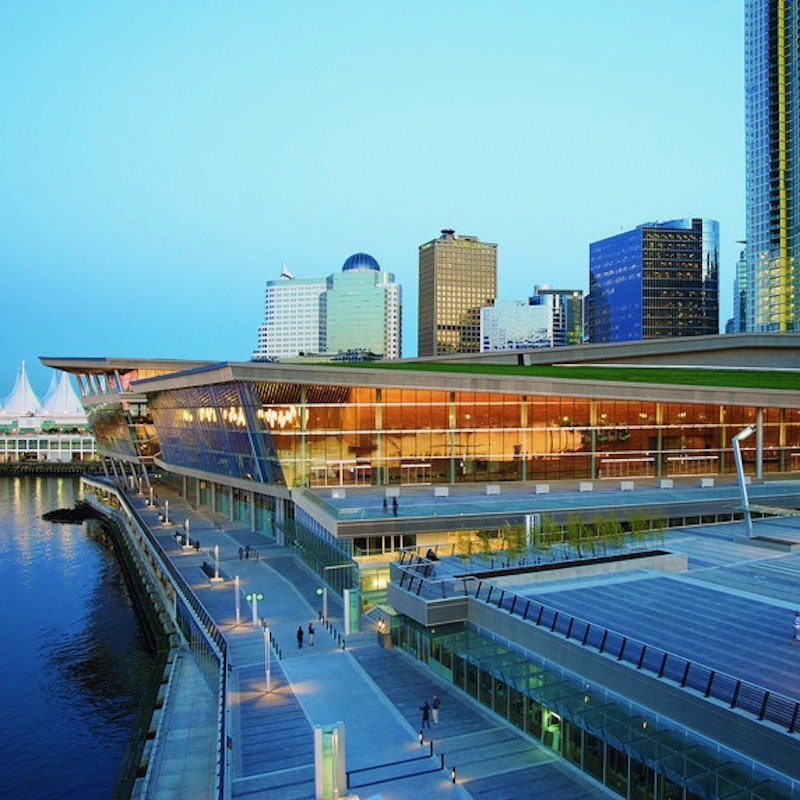 Did you know when they’re not hosting conventions, the Vancouver Convention Centre hosts free guided tours? Take shelter from the rain and join a one-hour tour of one of Vancouver’s most interesting buildings. Tour guides will share stories of the events the Convention Centre have hosted, facts about the building itself and plenty of green initiatives such as their 6-acre living roof, complete with bee hives. It’s a rainy Vancouver day and yet you want to see all of the sights! 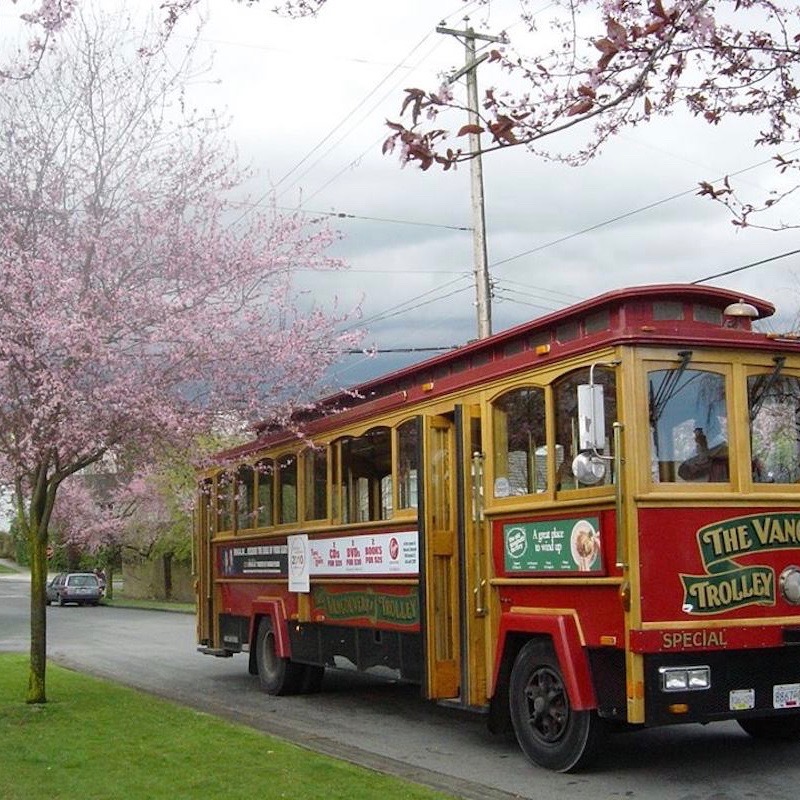 The Vancouver Trolley company can show you Vancouver show-stoppers whilst providing interesting commentary from the comfort of a sheltered bus. This tour is the perfect way to see Vancouver in a day, with over 30 stops and many key attractions en route. Just be sure to have an umbrella handy when you do want to ‘hop off’!